هذه الكلمات الخمس التي أرسلها الطفل اللبناني الموهوب، ذو الثماني سنوات، أليكس جورج سميا، هي خلاصة ما تصبو إليه الأمة بكاملها وهي بالضبط الكلمات التي تعبر عن ضميرها الحقيقي. فلا مبادرة سلام عربية ولا صفقة قرن ولا مخططات لإقامة إمارات عدة في الضفة الغربية المحتلة، يحكمها من تطلق عليهم سلطات الاحتلال: «شخصيات قيادية فلسطينية»، ولا عودة إلى أيّ شكل من أشكال الإدارات المحلية لمناطق الضفه الغريبة، بعد أن تقسمها سلطات الاحتلال ثلاث أو اربع مناطق، يحكم كلاً منها مجلس حكم محلي تعينه السلطة المحتلة، كما يروّج لذلك الكتاب والصحافيون الإسرائيليون من أمثال اليكس فيشمان وعاموس هارئيل وغيرهم…! فهؤلاء الكتاب ومَن يقف وراءهم من قادة الأجهزة الأمنية والعسكرية الاسرائيلية يعلمون تماماً أن كل هذه المخططات قد تم إسقاطها في مراحل النضال الفلسطيني السابقة وحتى قبل أن يتشكل حلف المقاومة بقواه الحاليّة والتي تشكل حائط صد منيع يعيق تنفيذ أي منها…! كما أنهم يعرفون أيضاً أن الشعب الفلسطيني قد أسقط من قبل كل مخططاتهم الرامية الى إقامة «مملكة عربية متحدة» أو ما أطلق عليه في حينه «مشروع ألون». وكذلك الأمر بالنسبة لمشروع التقاسم الوظيفي، الذي عرضته حكومة إسحق شامير على م. ت. ف. أواخر ثمانينيات القرن الماضي، وكان يقضي بأن يتم تشكيل إدارة محلية لـ«سكان الضفة الغربية» على أن يقوم هؤلاء «السكان»، وهم في الحقيقة المواطنون الفلسطينيون في الضفة، بممارسة حقوقهم السياسية في الأردن من خلال المشاركة في الانتخابات الأردنية وتقديم مرشحين لهم يمثلونهم في البرلمان الأردني، على أن تبقى السيادة على الأرض لدولة الاحتلال. الامر الذي رفضته م. ت. ف. جملة وتفصيلاً، مما أدى الى تراجع الدعم المالي السعودي والخليجي آنذاك، بأوامر أميركية طبعاً، ذلك الدعم الذي انقطع تماماً بعد أزمة الكويت سنة 1990 بسبب الحجج التي نعرفها جميعاً والتي لا تستند إلى أية حقيقة…! وهذا هو آخر الكلام. لن يوجد أي فلسطيني يتنازل عن القدس، مهما تفنّنت في اختلاق الطرق والأساليب المختلفة للوصول الى هذا الهدف، كما لن يتحقق هدف حاخام المستوطنين، المسمّى سفير الولايات المتحدة الأميركية لدى دولة الاحتلال، الذي وزّع صورة له قبل أيام. وهو يحمل لوحة يظهر عليها الهيكل المزعوم مكان المسجد الأقصى ومسجد قبة الصخرة المشرفة. فأنتم فشلتم في فهم كنه الشعب الفلسطيني الذي تصدّى لمؤامراتكم، منذ وعد بلفور سنة 1917 وحتى يومنا هذا، وأسقطها جميعاً. وهو سيسقط مخططاتكم وأفكاركم المريضة، التي تحاولون فرضها عليه وعلى حلف المقاومة، من خلال تآمركم مع حكام بني سعود ومشايخ الرجعية العربية من نواطير النفط والغاز…! إن السيف الفلسطيني الذي بقي عصياً عليكم كسره طوال سبعين عاماً سيبقى مشهراً في وجوهكم للذود عن شرف الأمة وحماية كرامتها ومقدّساتها وحقوقها الوطنية إلى أن يكتب الله أمراً كان مفعولاً، ألا وهو انتقال قوات حلف المقاومة الى تنفيذ المرحلة النهائية من الهجوم الاستراتيجي والذي لن يتوقف إلا بتحرير القدس التي سنفطر فيها سوياً مع الشبل اللبناني اليكس جورج سميا. […] (Finally), Palestine, (the most) important question —I will be brief because everything we said before had to do with Palestine. Tomorrow (May 15) is the 70th anniversary of the Nakba (‘catastrophe’, designating the forced exile of Palestinians in 1948), the Nakba of Palestine, or rather the Nakba of Arabs, Muslims and the (Muslim) Community, and even the Nakba of humanity. What happened 70 years ago and has continued for 70 years is a badge of shame (branded with a hot iron) in History and on the forehead of all mankind, of all States and world leaders, as well as all international organizations in the world. And it continues to this very day: what is happening today in Gaza —tens of martyrs, over a thousand injured— is a continuation of what happened 70 years ago.The Palestinians, for 70 years, did not abandon their cause. They may have differed on some choices, but none of them has accepted that the Palestinian cause is liquidated or definitively closed, regardless of the minimum (1967 borders), median (1948 borders) and maximum (historic Palestine) terms. And their struggle, their fight, their sacrifices and martyrs have continued until what happens today. Today we are also facing a great and very dangerous challenge to the Palestinian cause, of which I will talk briefly, ie what is known as (Trump’s) (definitively settling the Palestinian issue), and according to some information —I do not have specific insight about it, but that’s what can be read in the media—, Trump will announce in May, in the last remaining two weeks, he will officially announce this Deal. And the US project to solve the Palestinian issue is this, points 1, 2, 3, 4 and 5 (which I’m going to detail). (What is the position of Trump 🙂 “O Palestinians, O Arabs, O Muslims, if you agree (to the Deal), you’re welcome, come and sign it. If you do not agree, so long (we have nothing more to say), and we will still impose it on you.” Because I forgot something in the first part (of my speech) about the consequences (of the American withdrawal from the Iranian nuclear deal), it’s not only that (Trump and the United States) do not respect (the agreements nor the world) but they take (unilateral) decisions that favor their interests and just impose them (forcefully) to the world. And those who do not give in, they subject them to sanctions, even if they are their allies. They are not going to propose a settlement (of the conflict), but they will announce it (as a fait accompli). If you accept it, you’re welcome. And if you refuse it, they will wage war against you, inflict sanctions on you, impose it to you (by force). Such is the danger facing the Palestinian cause these days.It started with the recognition of Al-Quds (Jerusalem) as the capital of Israel, and now it’s done, despite the fact that Trump had promised the Arab (leaders) it would take two or three years and that there was time before its implementation. But no, they chose a modest place of Al-Quds (Jerusalem) and rushed to move their embassy (for the inauguration) today. Well, what is this project, a clear, known project about which nothing is hidden?1 / No Quds (Jerusalem), neither East nor West (for Palestine), it will not even be a matter of discussion. And what appears of the holy places, is that neither what is on the surface, nor what is underground (will be given to the Palestinians). No Quds (Jerusalem). Al-Quds is the eternal capital of Israel. If a Muslim wants to go to the Al-Aqsa Mosque (the third holiest site in Islam), or if a Christian wants to go to the Church of the Holy Sepulcher, he has to ask Netanyahu. That’s the first point. This is definitely settled for Trump, he announced it. 2 / No return of Palestinian refugees. Nothing at all. Now they’re wondering what to do at the Sinai (Egyptian desert), whether they will take them there… Palestinian refugees will either take the nationality of the country in which they reside, or be sent to other places. But there shall be no return of refugees (in Palestine). 3 / The Palestinian State will be Gaza. That is all. The State of Historic Palestine, which is two or three times larger than Lebanon, will be limited to Gaza. 4 / As for the Palestinian presence in the West Bank, it will take some form: self-governance, regional autonomy, partly linked to the ‘State’ of Gaza… I do not have details on that. 5 / Treaties of comprehensive peace. And all Arab and Muslim countries will have to stand in rank, recognize Israel, establish relations with Israel, normalize relations with Israel, and those who do not accept will be subject to sanctions, blockade, pressures and plots ready to be implemented. Such is the “Deal of the century”. What then is the “Deal of the century” (if not that)? That is to say, the liquidation of the Palestinian cause. This means that the Palestinian cause will end this way. In this context, what should be our position? We must not be content to describe and analyze. Let’s be realistic. Trump is serious in this choice, and things take their natural course. What is happening, and what does it require from us? From us and others, every Muslim, every Arab, every Christian, every worthy man in this region (and in the world). What is happening now is that there is a process to impose this outcome. The first step in this process, is the (considerable) pressure exerted on Iran. Currently the pressure on Iran is maximal. Perhaps we who are staying in Lebanon, Palestine, Syria, are not well aware of this. Today, they are exerting maximum pressure on Iran. They work on finances and on the economy (of Iran), to bring down the Iranian currency, and to undermine the economic situation inside the country, in order to create situations of popular demonstrations against the government and against the regime, and therefore lead Iran to a (completely) different location (domestically and regarding its stance on Palestine). The ultimate pressure on Iran consists in the removal of the nuclear deal, the return of US sanctions and the threat of new sanctions. It is not just the old sanctions but also new sanctions against Iran. Is it only a nuclear issue? They know very well that there is no military nuclear (program) in Iran. The real reason was stated by Trump himself, I do not even need to make an analysis. 3 / support from Iran to Hezbollah and Hamas. He said so explicitly. That is to say, to Palestine. This means: “O Iran, my problem with you is not only the nuclear issue, ballistic missiles, their scope, their manufacture and their number. One of my main problems with you is your support for Resistance movements in the region.” And when Trump speaks of Hamas, in truth, it is not only Hamas. It is he who says ‘Hamas’. But the Islamic Republic stands with the entire Palestinian people and all the Resistance movements in Palestine, and supports all those who believe in the choice of Resistance in Palestine. Such is the (true cause of) the pressure against Iran. “If you want us to go back to the (nuclear) deal, if you want us to waive the sanctions, to quit putting pressure on you with the conversion rate of your currency to the dollar, if you want us to allow European companies to continue investing in Iran and trade with you (O Iran), then leave Palestine aside, detach yourself from it (and toe the line like the others).” That’s the first point.Second, the continuing pressure on Syria in order to monopolize and exhaust it. Syria is nearing victory. Soon they will resort yet again to the pretext of chemical weapons to come and threaten, intimidate and bomb, and if there were not some fears (for the USA), they would not content themselves with what they hit (the last time). The US wants to ensure that the Syrian leadership, President Bashar al-Assad, the Syrian state, the Syrian Army and the Syrian people continue to be drained in the inner battle, in order to get Syria out of this equation (Palestine). Third, the continuing pressure on Resistance movements in the region, especially in Lebanon. They had already inflicted banking sanctions on us, and now they threaten us with new sanctions from the Congress, they threaten anyone who has links with Hezbollah, financially, etc., etc. You know the extent of this issue, we have already talked a lot about (in the past). But what is even more dangerous, and it had been a while that there was no such thing, is that today, every day we hear threats of launching a war against Lebanon, saying that if such and such happens, they will send back Lebanon to the Stone Age, etc., this kind of intimidation. What does it mean ? This is part of this process (liquidation of the Palestinian cause), this is a way to say “Watch out you Lebanese, watch out Hezbollah, be reasonable, keep aside. Do not stand in our way by trying to help the Palestinians, give them support, backing and assistance, otherwise you’ll have all kinds of problems.” So there is also the pressure on Lebanon.And lately, the renewal of the blockade against the Palestinians in Gaza to the point of starvation. Gaza today faces a famine situation. Over time, Gaza gets closer and closer to the situation of the Yemeni people. The situation in Gaza is difficult and (even) terrible at this point. There will come a time when people will not have money to buy food. Already, people have no money to buy food. What does it mean ? “Either we bring Gaza into submission and bend its knee by famine, until they fold and sign, either we lead it to an inner explosion.” And the leaders of the Resistance in Gaza acted (very) wisely, because they turned the threats of internal explosion into an opportunity with the March of Return, which will reach its pinnacle tomorrow. But this project and vision (liquidation of the Palestinian cause) are continuing. It’s the same with the pressure on all Palestinians, on the Palestinian Authority, the Organization for the Liberation of Palestine, inside, outside, with refugees, moral, psychological and financial pressures, blockades, etc. What they ask from the Palestinians today, and we come to the position (required), what they want from the Palestinians today, through the blockade, pressures, famine, their efforts to break them and humiliate them, all this is to obtain their signature. This signature is very expensive, it is (really) expensive. In addition to all this, in that process, we always find more support from Arab governments and the Gulf for the US-Israeli project of “Deal of the century” . This is also part of this process. And worse, what some Gulf countries do, is two things.The first thing, which I have already referred to several years ago, is the religious and (Islamic) Law cover, that is to say the religious justification for surrendering to Israel. You see, when Anwar Sadat went to make a peace agreement (with Israel), it was (as) a political State, a secular President who was making peace with Israel. Sadat did not give any religious cover, nor did he invoke Islamic jurisprudence. He did not claim that he was following the will of God, the Prophet, and the Prophet’s companions, no. The most we could hear in the speeches of Anwar Sadat is that he tried to take advantage of a Quranic verse, reciting it in his Egyptian dialect (thus showing a lack of deference to the Quran, which should be recited in an unaltered classical Arabic), “And if they incline to peace, then incline to it [also].” (Quran, 8, 61). End of the story. King Hussein (of Jordan), when he officially made peace with Israel at (the border post of) Wadi Araba, he did not bring with him the religious organizations claiming that it was the will of God, the Prophet, the family of the Prophet, the Companions, nor, since he is a Hashemite King (descendant of the Prophet), did he claim that it was the will of the Banu Hashim, of his ancestors and forefathers, he did not claim that they accepted this, never. It was (only) a State concluding a peace treaty. And now what do we see? Look, now that Saudi Arabia gets (openly) involved, it would be religion, the Quran, History and God’s promise that would have granted (Palestine) to the Jews. And therefore, we Muslims, before 1948, and for hundreds of years, would have usurped Palestine, deprived its rightful owners from it, so we should apologize to them and also compensate them. And Mohammad Bin Salman is ready to pay those compensations. This is what is happening.In an discussion with an important Sunni scholar, I told him: “If anyone has connections to Saudi Arabia, let him ask them ‘O my brothers, who came to Palestine and freed Al-Quds (Jerusalem), making it enter the great Islamic state? It is the second caliph Omar Ibn al-Khattab (revered by Sunnis). So be careful (with what you say). Who is it that would have ‘occupied’ Palestine (according to you), depriving (the Jews) of their rights (on this land) and would have taken away from them this so-called historic right?” But unfortunately, we have now arrived at a point where (we hear that) it would be their historical right. I heard one of the important (scholars) in Saudi Arabia declare on TV that we must recognize that just as Mecca is a holy city for Muslims, just as Medina is a holy city and belongs to us, Al-Quds (Jerusalem), the House of Holiness, is a holy city for Jews, and so we should leave it to them, with respect, humility, generosity. This Arab ‘generosity’, which only manifests itself towards the enemy. This first point is worse (than what was done by Egypt and Jordan). And the second thing that is worse (than that) is that the Gulf states, led by Saudi Arabia, are leading the region against an enemy they have fashioned from scratch, and towards a war that they want to push the world to declare, namely against Iran. These governments are willing to pay the United States hundreds of billions of dollars to come and fight a war against Iran, without (any consideration) for Palestine and the Palestinian cause. This is part of the ongoing process. (What is) the position (we must take)? To be realistic, and benefit from our experience (in Palestine) from 1948 to date, for 70 years, and from our experience in Lebanon. O Palestinian people, O Lebanese people, O Syrian people, O peoples of the region, O Iranian people —as it is now in the heart of the challenge—, O all the peoples of the region. Pinning one’s hopes on international law, international institutions, international organizations, for any issue whatsoever, is vain, meaningless, empty talk. More than that. Pinning one’s hopes on the Arab regimes, in their great majority, for anything at all, is vain, meaningless, empty talk. I speak from our experience and from the experience of Palestinians. Where to pin our hopes, in short? On the position of our people, the position of some countries and the position of the Resistance movements. This is what brings results, and this is what changes the equation (in our favor). I do not speak to give hope. I only remind what the experiences taught us, that hope is open before us, and in very big way. Today, a position is needed in two places. First, with the Palestinians. Currently, it is not necessary that the Palestinian launch a war, or that they launch an armed intifada, or anything like that. This popular uprising expected from them, even if it does not materialize, only one thing is required from them, and that will be enough to dismiss the “Deal of the century”. Of course, now the Palestinians are demonstrating, and they have been demonstrating for weeks, and it destroys and annihilates (completely) the “Deal of the century”. But there is one basic thing that will prevent the “Deal of the century” to become effective, even if the whole world is unanimous about it, even if a decision of the UN Security Council (recognizes it): that no Palestinian sign it. That neither the President of the Palestinian Authority nor the PLO Chairman, neither Fatah nor Hamas nor (Islamic) Jihad nor anyone signs it. No Palestinian who claims he is the sole legitimate representative of the Palestinian people must sign this agreement. If they do not sign it, this Deal will have no effect whatsoever (it will be null and void).Israel occupied Palestine, and in addition the Golan, and parts of Lebanon and the Shebaa farms so far —may God make the best out of it—, (but) the cause remained alive, Resistance movements have expanded and have become more powerful and more determined (than ever), and the awareness of the (Muslim) Community grew. As for the Arab leaders, nothing has changed, except that they took off their masks, but their essence and reality have not changed, (treachery) has been their reality for decades. Therefore, the main position (required), from which derives the second position, is that the Palestinians do not sign. And even if a thousand Trump, a thousand Netanyahu and a thousand Mohammad Bin Salman strove to it, they could never impose on the Palestinian people the liquidation of the Palestinian cause. And the second place is the Resistance Axis: the Islamic Republic of Iran, the Syrian Arab Republic, Lebanon (Hezbollah), Iraq, Yemen, our peoples in the region, from Bahrain to North Africa, Tunisia, Egypt, etc., etc. The Resistance Axis, with his countries, his parties (movements) and his peoples, must stand firm, enduring, not bow, not bend the knee, not give up, even if it is subjected to sanctions, blockade, even if the price of its currency is brought down, even if the war in Syria and Yemen is extended, even if (its members and supporters) are oppressed and imprisoned. It must remain firmly attached to its rights and yield nothing, and that is all that is required for us to overcome this stage (successfully). And we can overcome this stage. In 1996, the world met in Sharm el-Sheikh, the whole world, and it was said at the time that the settlement (of the Palestinian cause) was over, that the Palestinian issue was over, and the world had made a final choice. But thanks to the battle that took place in Lebanon and Palestine, and to the endurance of Syria and Iran, (this final settlement) claimed to be “at a distance of but two bow-lengths or (even) nearer” (Qur’an 53: 9), the end of the Palestinian question in 1996, all (this) was shattered, and we are now in 2018. The current project, as some say —these are not my words, but I borrow them— this project is based on the three vertices of a triangle: Trump, Netanyahu and Mohammad Bin Salman. In all likelihood —in order not to be categorical—, if only one of the three falls, the entire project will fall. Each of these three men, from the standpoint of political realism, (is unstable). Trump is faltering in the US because of the scandals, problems, etc., we do not know where he will lead the world and where he will lead the United States’ domestic situation. Netanyahu also because of the corruption cases which weigh (heavily) on him, and he strives to strengthen his position with political successes to save himself from all the corruption cases. As for Muhammad bin Salman, God knows what is happening in Saudi Arabia (dynastic and personal conflicts, rumors of serious injury and/or assassination attempt, etc.). Anyway, may God make the best happen. After King Salman, we’ll see what happens. None of these three is firm, solid, stable and rooted in his office. And I add to this that all their projects in the region have fallen and failed, and they vainly wasted their resources, their allies and their instruments. And today, the Resistance Axis is stronger than ever. And after what happened in Syria several days ago, and what is happening today in Gaza, I tell you this: my brothers and sisters, do not listen to all these… Today my heart is stronger on this point. Do not listen to all the Israeli intimidation and war threats, these (claims that) they will achieve and accomplish (such and such things), strike (us) and swoop down on (us), turn our world upside down. In the vast majority, all (these rantings) are, according to me and to others —we talked about it with my brothers(-in-arms) —, I am convinced that these are empty words, vain threats. This Israel, if someone is more afraid to go to war than anyone else in this region, it is Israel. And although, as it is known, terrified people would scream louder, make threats, bomb the torso, shows muscles and insult, so that nobody approaches them, but as soon as we approach him, he flees for his life. As soon as one approaches him, he will hide in his hole. See also Part 1 (Trump only cares about US and Israeli interests) and Part 2 (Syrian strikes in Golan frightened Israel and shattered its prestige) of this speech. AlJazeera reported yesterday that the Israeli parliament has passed a law that allows the Minister of Interior to revoke the residency rights of any Palestinian in Jerusalem on grounds of a “breach of loyalty” to Israel. It doesn’t take a genius to grasp that this law is racially oriented: it only applies to non-Jews. This type of law follows from the fact that Israel defines itself as the ‘The Jewish State,’ and operates as a tyrannical Jewish shtetl in which the Palestinians are Goyim du jour –0n a daily basis they are confronted by the most extreme forms of Jewish exceptionalism (choseness). Aljazeera points out that “despite Israel’s claims that occupied East Jerusalem is part of its ‘eternal, undivided’ capital, the Palestinians who are born and live there do not hold Israeli citizenship, unlike their Jewish counterparts.” Apparently the ‘un-dividedness’ of Jerusalem only applies to the members of one tribe and the land they manage to grab by force. Palestinians in Jerusalem are granted “permanent residency” ID cards and temporary Jordanian passports that are only valid as travel documents. This leaves them stateless, stuck in legal limbo – they are not citizens of Israel, nor are they citizens of Jordan or Palestine. Mahmoud left this world in the year of the “Naksa” [Arabic for “setback”, a term for the defeat of the Arabs during the 1967 Six-Day War]. He did not live with his first grandchild. But he was overjoyed for more than five years. Every time he returned to the house, he would carry some sweets from the shop. After all, the grandson is more precious than the son. He used to play and babble with him. But did he know that this child in his hands, along with his friends, would change his world? The world that has hurt him, saddened him, and bent his back while he worked as a porter at the Beirut port. That harbor was full of tales of the weary people of that generation. This was the grandfather of Imad Moghniyeh. Mahmoud left Jabal Amel, the land of his ancestors, and lived in the capital in pursuit of his livelihood. He brought his son Fayez with him to work. The boy was no more than 12 years old. They lived together in a room they rented in a shared residence, in one of those houses we see in Beirut’s cultural heritage neighborhoods. There, in the area of Msaytbeh, the grandfather and son formed their first relationship with the capital of weariness. It was the land of estrangement at home. It was the land of migration of that generation from the countryside, where systematic deprivation, institutional poverty, and programmed marginalization existed for the benefit of the center. Fayez will work at a restaurant (Fawal) in downtown Beirut which was next to the Cinema “Rivoli”. For the first time, the boy will learn what a cinema is. He will just see it from the outside. The restaurant was owned by the Al-Hashim family. They were friendly with him. (According to the narrator) they belonged to the “Christian brothers”. He kept working for them until he turned twenty years old. He got married, and the adventure began. His lifelong companion worked at the Makassed Hospital. He thought of ways to open his own restaurant. He did it in the end. He opened it, not in the heart of the capital but at the border of the southern suburbs (the old Sidon road). He went to work at dawn, and sometimes, did not return until midnight. He would not see his children for a week; he leaves while they are asleep and returns while they are asleep. Then the civil war began. His shop was located in the “seam zone”. Work was halted. What should he do? Should he return to the South – to the village he left when he was a child -with him his family and eldest son Imad. The latter helped his father build a small house, with his bare hands, using the money the father collected from his work. The house was being constructed for about nine months. Later, after things calmed down, the family returned to Beirut. There was no livelihood in the south of Lebanon. No work. Abu Imad, one of those who cannot sit without work, was looking for a new cart. He will sell watermelons on a cart. Then, he will open a small shop, in Chiyah, to sell vegetables. Then the “Israeli” invasion of Beirut takes place in 1982. The family returns to the south yet again. Then, a return to Beirut. There is no escape. Back to work: a new restaurant again (chicken, beans [Foul], chickpeas, etc.). This time the blessings poured in. Once, Um Imad asked him: Where did you get this [money]? She was keen, and still is, on the “halal”. But she was not as keen as he was about it. He told her it was because of the Syrian entry into the area where his shop was. All the owners returned to their shops and repaired the damage. That brought in many workers. All these people want to eat. Sometimes fate smiles amidst anxiety. At the time, Abu Imad’s situation was the same, while Imad, as the whole world later knew, was changing the equations of the major powers in the region from the heart of Beirut. This is a paradox for history. The young man did not ask his father to leave his shop until many years later, and only because he feared for his life, after an incident that happened there. Abu Imad did not leave this world until he saw how his world changed. He did not leave until his three sons, and later his grandson, left [this world] on the same path. Nasrallah seemed like someone who did not want to say everything. He, himself, is the son of that generation as well. He is the son of a vegetable vendor in the Sharshabouk neighborhood of Karantina. “How did these people come from the countryside? What did they do, and how hard they worked, night and day? What was the type of jobs they endured to do? These are the generation of the fathers. Only those who lived in this generation know the details.” When Sadr appeared on the Lebanese arena, Abu Imad was one of those who lived the moment of hope. He was one of those who saw him as a savior. So he rushed to one of the training courses sponsored by the “Imam”. 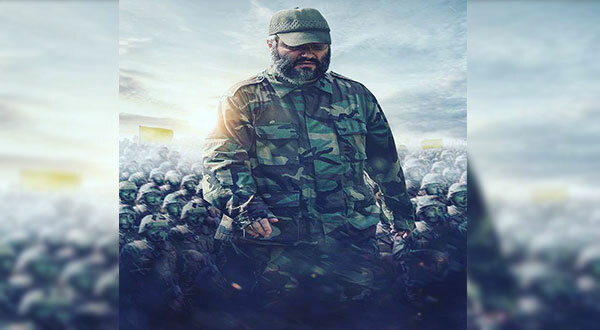 Imad Moghniyeh is a legitimate son of this generation, a grandson of that generation. He came from there and remained loyal to that suffering, to that memory, which afflicted his flesh and blood. ذاك المرفأ المليء بحكايات المتعبين مِن ذاك الجيل. هذا جّد عماد مغنيّة. محمود الذي ترك جبل عامل، أرض أجداده، نحو العاصمة حيث لقمة العيش. أتى بابنه فايز معه إلى الكدح. لم يكن عمر الأخير أكثر مِن 12 عاماً. سكنا معاً، بالإيجار، في غرفة ضمن دار سكن مشترك. تلك الدور التي نراها في عمارة بيروت التراثيّة. هناك، في منطقة المصيطبة، حيث كانت أوّل علاقة للجدّ والابن مع عاصمة التعب. أرض الغربة في الوطن. أرض هجرة ذاك الجيل مِن الأرياف، حيث الحرمان المُمنهَج، الفقر المؤسَّس، التهميش المُبرمَج… ذلك لمصلحة المركز. سينتقل فايز للعمل في مطعم (فوّال) وسط بيروت. جنب سينما «الريفولي». سيعرف الفتى، للمرّة الأولى، ما هي السينما. سيراها مِن الخارج فقط. المطعم لعائلة مِن آل الهاشم، كانوا ودودين معه، وهم مِن «الأخوة المسيحيين» (كما تقول المُحدّثة). ظلّ يعمل عندهم إلى أن أصبح عشرينيّاً، تزوّج، وكانت المغامرة. مَن ستُصبح رفيقة عمره كانت عاملة في مستشفى المقاصد. راح يُفكّر كيف يفتح مطعمه الخاص. كان له ذلك في النهاية. فعلها، إنّما ليس في قلب العاصمة، بل بعيداً عند حدود الضاحية الجنوبيّة (طريق صيدا القديمة). يذهب إلى عمله فجراً ولا يعود، أحياناً، إلا عند منتصف الليل. أن لا يرى أولاده مدّة أسبوع: يخرج وهم نائمون ليعود وهم نيام. تبدأ الحرب الأهليّة، والمحلّ في «منطقة التماس» تلك، فيتوقّف العمل. ما العمل؟ عودة إلى الجنوب، إلى القرية التي غادرها طفلاً، ومعه عائلته وأكبرهم الفتى عماد. الأخير ساعد الوالد في بناء منزل صغير، بيديه، بمال كان جمعه الوالد مِن عمله. بقيت أرض المنزل على الأرض، على التراب، مدّة تسعة أشهر تقريباً. لاحقاً، بعدما هدأت الأحداث نسبيّاً، عادت العائلة إلى بيروت. لا معيشة في الجنوب. لا عمل. راح أبو عماد، وهو مِن ذاك الصنف الذي لا يطيق الجلوس بلا عمل، يبحث عن «كار» جديد. سيبيع البطيخ على عربة. بعدها يفتتح محلاً صغيراً، في منطقة الشياح، لبيع الخُضَر. يأتي الاجتياح الإسرائيلي لبيروت عام 1982. عودة إلى الجنوب مرّة أخرى. ثمّ عودة إلى بيروت. لا مفرّ. عودة إلى العمل: مطعم مِن جديد (دجاج وفول وحمّص وما شاكل). هذه المرّة دفقت الرزقة. ذات مرّة، سألته أم عماد متوجّسة: مِن أين لك هذا؟ حريصة كانت، وما زالت، على «الحلال». لكنّها لم تكن أحرص مِنه. أخبرها أنّه مع الدخول السوري إلى المنطقة، التي فيها محلّه، عاد كلّ أصحاب المهن إلى محالهم، أصلحوا ما فيها مِن أضرار، ما جلب الكثير مِن العمّال. كلّ هؤلاء يُريدون أن يأكلوا. يبتسم القدر أحياناً وسط القلق. آنذاك، كان حال أبو عماد هو ذاك الحال، فيما عماد، كما عرف العالم كلّه لاحقاً، كان يقلب معادلات الدول الكبرى في المنطقة مِن قلب بيروت. هذه مفارقة للتاريخ. لم يطلب الشاب مِن والده أن يترك محلّه إلا بعد سنوات طوال، وما ذلك إلا لخوفه على حياته، بعد حادثة حصلت هناك. أبو عماد، الذي لم يرحل عن هذا العالم إلا بعدما رأى، بنفسه، كيف أنّ عالمه تغيّر، لكنّه لم يرحل أيضاً إلا بعدما رحل أبناؤه الذكور الثلاثة، ولاحقاً حفيده، على الدرب نفسه. في مناسبة فايز مغنيّة، تحدّث السيّد حسن نصرالله عن ذاك الجيل، وكاد، في لحظة، أن يبكي: «مَن يقرأ مذكّرات، أو يستمع مِن أحد، عن أخبار تلك المرحلة فإنّه يبكي، لا يستطيع أن يتحمّل… جيل الكادين العاملين، وكيف هاجروا مِن قراهم إلى بيروت وضواحيها، إلى ما كان يسمّيه السيّد موسى الصدر حزام البؤس، في الأوزاعي وحيّ السلم والكرنتينا والنبعة وبرج حمود وتلّ الزعتر». بدا نصرالله كمن لا يُريد قول كلّ شيء، وهو، نفسه، ابن ذاك الجيل أيضاً. ابن بائع الخُضَر في حي الشرشبوك في الكرنتينا. يعرف جيّداً الأوصاف والنعوت، المُهينة، التي كانت تُطلق على أجداد وآباء تلك الحقبة. ليس كل ما يُعرَف يُقال، ليس حرصاً أمنيّاً، بل هذه المرّة حرصاً على ذاكرة يرأف على أهلها مِن استعادتها… ولو خاطرة: «كيف جاء هؤلاء مِن الأرياف، ماذا عملوا وكيف كدحوا، في الليل والنهار ونوع الأعمال التي تحمّلوا القيام بها، هؤلاء جيل الآباء، أمّا التفاصيل، فالذين عايشوا يعرفونها». عندما ظهر الصدر على الساحة اللبنانيّة، كان أبو عماد مِن الذين عاشوا لحظة الأمل، مِن الذين رأوا فيه مُنقذاً، ولهذا سارع ملتحقاً بإحدى الدورات التدريبيّة التي رعاها «الإمام». عماد مغنيّة هو ابن شرعي لذاك الجيل، حفيد لذاك الجيل، مِن هناك أتى وظلّ وفيّاً لتلك المعاناة، لتلك الذاكرة، التي خالطت لحمه ودمه… وكان مِنه ما كان. January 19, 2018 “Information Clearing House” – BEIRUT — The crushing irony for Palestinians today is that their cause remains widely supported by over 120 governments and billions of ordinary men and women around the world, yet the Palestinian leadership is a case study in hapless incompetence that verges on national shame. This was confirmed again this week as the Central Council of the Palestine Liberation Organization (PLO) issued a policy statement after days of deliberations that is a sad example of meaningless clichés uttered by aging men whose track record of political achievement is empty — and astoundingly so, in view of the massive and sustained support around the world for Palestinian national rights. The Central Council is supposed to fill the gap between the National Council (parliament-in-exile) that represents all Palestinians around the world, and the Executive Committee that represents the major Palestinian political factions and functions like a government cabinet, headed by the president. In fact, these three organs of government and the presidency are all moribund institutions that have neither impact nor legitimacy, for the leadership has lost touch with the ordinary Palestinians whom it is supposed to represent and serve. So it is no surprise that after another fiery but hollow speech by President Mahmoud Abbas, the Central Council has decided to “suspend” its recognition of Israel, end security cooperation with Israel, effectively nullify the 2003 Oslo accords, and call on the world to work for the creation of a Palestinian state and end Israel’s colonization policies. These meaningless words by a powerless leadership will have no impact on anything. It is hard to know what else to say or do in the face of such a failed leadership of a noble Palestinian people that continues to struggle, mostly nonviolently, for their peaceful statehood and end to refugeehood and exile, alongside an Israeli state that would acknowledge those rights for Palestinians. But we must do something, because simply continuing with the same inept leadership that has excluded the vast majority of Palestinians from participating in their national decision-making only guarantees that daily life conditions and future prospects for those millions of Palestinians will only worsen with every passing month — and for those in refugee camps or under Israeli siege in Gaza, it is hard to imagine how life could get any more difficult. The Palestinians cannot force major changes in the policies of the Israeli government that continues with the same colonial, Apartheid-like policies that have defined Zionism since the 1947-48 creation of Israel and the dismemberment, disenfranchisement, and dispersal of the Palestinians. But 1.5 million Palestinians of 1948 have become nine million or so today, and they do have the power to do one thing, whether they live in the West Bank, East Jerusalem, and Gaza, as Israeli citizens inside Israel, or throughout the diaspora around the region and the world. They can and must re-legitimize their national leadership into a single movement that listens to all their views, represents them legitimately, reaches policy decisions on the basis of serious consultations and consensus that allows Palestinians to speak in a single voice, and engages diplomatically around the world with the full support of all Palestinians. None of these dynamics exists today, which is why the current leadership of the PLO under Mahmoud Abbas is not taken seriously in the region or internationally — least of all by the majority of Palestinians themselves, who have looked elsewhere for leadership in the years since the Oslo process proved to be a failure and Yasser Arafat started to lose his credibility. The leaderless condition of the Palestinian people today is reflected in how the three most dramatic examples of pubic political action in recent years have occurred without any meaningful input from the PLO, or from the Palestinian Authority (PA) which administers limited services and regions in the West Bank and Gaza where Israel gives it permission to do so. Those three examples are: the current campaign around the world to support Ahed Tamimi, the 16-year-old girl from a West Bank village who is detained in an Israeli jail pending a possible military court trial, because she resisted Israeli occupation and slapped an Israeli soldier; the weeks of spontaneous popular protest last summer in Arab East Jerusalem, when tens of thousands of Palestinians there defended their holy sites at the Haram al-Sharif (Temple Mount, for Israelis); and, the ongoing Boycott, Divestment, and Sanctions (BDS) movement by civil society to pressure Israel to stop its mistreatment and human rights denials of Palestinians in the three arenas of occupied Palestine, the state of Israel, and the disapora. Hamas’ challenge to the PLO leadership in Gaza is another sign of the PLO’s delinquency in protecting, representing, or leading the Palestinians. It is difficult now to create a whole new national leadership, given the fragmented nature of the Palestinian community. Yet the cohesion that all Palestinians feel, wherever they live, also makes it feasible to at least start consultations amongst themselves to find a way out of the current nightmare by giving fresh blood and new life and legitimacy to existing PLO organs. There is no reason why we should suffer this ghastly fate of being plagued by a colonial Zionist Israeli state that steadily eats up our land, ignored by a mostly caring world that is otherwise preoccupied by more pressing issues, and abandoned by a Palestinian leadership that has become powerless, dependent on donors, docile, a purveyor of empty clichés, and largely incoherent. Such situations might lull some observers to see the end of the Palestine issue, while a more likely conclusion would be that this low point will mark the start of a process of re-birth for the nine million Palestinians who have never stopped struggling and working for their national rights since the 1930s. They are certainly not going to stop now, regardless of the poor quality of their current leaders. على وقع الانتفاضة المستمرة في مختلف المدن الفلسطينية رفضاً لقرار الرئيس الأميركي دونالد ترامب القاضي بمنح القدس عاصمة للكيان المحتلّ، حيث قدّم الفلسطينيون ما لا يقلّ عن 14 شهيداً ومئات الجرحى وعشرات الأسرى، وفي ظلّ الإنجازات التي يسطّرها محور المقاومة على مختلف الجبهات، جاء التفجير الإرهابي في مدينة صيدا حاملاً بصمات العدو، ولعلّ المفارقة التي يجب التوقف عندها أنّ العدو «الإسرائيلي» الذي يسعى إلى تبرير اعتداءاته على مواقع عسكرية في الشام بأنها تهدف إلى منع المقاومة من تحقيق أهدافها وكسر التوازن، او امتلاك المقاومة أسلحة كاسرة للتوازن على حدّ زعم إعلام العدو وقادته العسسكريين والسياسيين، لن يجد هذا العدو ما يبرّر به عدوانه وقيامه بعملية التفجير في مدينة صيدا التي تشكل عاصمة المقاومة وبوابة الجنوب. الإجابة على هذا السؤال لا تمتلكه «تل أبيب»، لأنها تدرك جيداً أنّ تبريراتها غير مقنعة بالنسبة للمقاومة التي تختار المكان والوقت المناسبين للردّ على الاعتداءات. وما التفجير الذي استهدف أحد كوادر حركة حماس المرتبطين بالعمل المقاوم داخل فلسطين المحتلة، إلا دليل على الخوف «الإسرائيلي» من تنامي قدرات المقاومة بعدما باتت تنسّق عملها بين الداخل والخارج، وهذا ما رفع منسوب القلق لدى العدو، لا سيما بعد العملية التي وقعت في رام الله وأسفرت عن مقتل أحد الحاخامات. وعليه يبدو أنّ «إسرائيل» تلقت الرسالة وفهمت مضمونها ومفادها بأنّ المقاومة لم تعُد محصورة في مكان أو زمان معيّن، وعليه جاءت محاولة استهداف القيادي حمدان كمحاولة «إسرائيلية» للإيحاء بأنها قادرة على الردّ أيضاً ـ على عمليات المقاومة الفلسطينية في الداخل من خلال استهداف كوادرها في الخارج. الاعتداء «الإسرائيلي» الذي وقع في صيدا يُضاف إلى ما سبقه من عمليات اغتيال لعدد من قادة وكوادر المقاومة في سورية، هي بمثابة اعتراف صريح وواضح من قبل قيادة العدو العسكرية والسياسية بأنّ المعركة مع محور المقاومة باتت واحدة، من فلسطين إلى الجولان وصولاً إلى جنوب لبنان. وهذا التطوّر يتزامن مع عودة وهج المقاومة في فلسطين المحتلة التي تواصل انتفاضتها، من أجل إسقاط قرار ترامب الذي لا يقلّ خطورة عن وعد بلفور، الذي اعترف بفلسطين وطناً قومياً لليهود، بينما يريد الرئيس الأميركي تهويد ما تبقّى من أراضٍ فلسطينية محتلة. – كانت كلمة الرئيس الفلسطيني محمود عباس أمام المجلس المركزي الفلسطيني رغم طولها، مليئة بالروايات التاريخية عن القضية الفلسطينية المفيدة، وبالأخبار والطرائف التي عايشها مباشرة، وتكشف مواقف الأميركيين والإسرائيليين وخفايا التفاوض، وبعض التلميحات لمواقف بعض الحكومات العربية، فخلال ساعتين وأكثر كان عباس يترافع ليصل إلى خلاصة هي جوهر ما أراد قوله، لن نقبل ما يريده الأميركيون والإسرائيليون وبعض العرب، وسنبقى تحت سقف دولة فلسطينية على الأراضي المحتلة عام 67 وعاصمتها القدس الشرقية، لكن طريقنا لذلك هو التفاوض والضغط الشعبي والسياسي السلمي، ولن نسحب الاعتراف بـ»إسرائيل»، ولا نسقط أوسلو فقد أسقطه الإسرائيليون. – الشارع الفلسطيني لم يجد أجوبة على الأسئلة الكبرى في ما سمعه من عباس، فالتوتر مع حماس والجهاد والقيادة العامة، ليس ما هو متوقع، حتى لو قاطعوا المجلس المركزي، والردّ على مقاطعتهم كان ممكناً بإسقاط مخاوفهم، وإظهار أنّ الخطاب السياسي الذي حمله المجلس المركزي جاء بحجم التوقعات، ليندم الذين قاطعوا على مقاطعتهم، بينما هم الآن يزيدون ثقة بأنهم أخذوا القرار المناسب بالمقاطعة، وأنّ السقف السياسي لخطاب عباس دون الثوابت التي كانوا يرديون لها أن تكون نتائج المجلس المركزي. – واقعياً سيكون بسبب التعنّت الأميركي والإسرائيلي، موقع حركة فتح في خط التصادم مع الاحتلال وضمن تنسيق ميداني مع سائر الفصائل في قلب الانتفاضة، لكن سيكون هناك خطان متوازيان واحد لفتح والآخر لسائر الفصائل المقاومة، وسيشارك فدائيو فتح سراً مع فصائل المقاومة، وسيتكامل الخطان دون أن يتطابقا، وسيبقى الخطاب السياسي لعباس والمنظمة بما لا يزعج الأوروبيين الذين يتوقع عباس منهم أن ينعشوا عملية التفاوض كلما بدا أنّ طريق الضغط الأميركي مسدود، ولا مانع من استثمار أعمال المقاومة وإدانتها في آن واحد، لإثبات الأهلية للتفاوض، ما يعطي تفسيراً للرغبة بعدم شراكة فصائل المقاومة في المجلس المركزي، ورفض بيان موحّد يلزم بالمواجهة مع الاحتلال ويسحب الاعتراف بالكيان ويعلن الخروج من أوسلو. – على فصائل المقاومة أن ترتب أمورها على أساس أنّ الوحدة ليست مشروعاً لدى محمود عباس، بل ربط النزاع، للإفادة من نتائج عدم التصادم في تعزيز الوضع نحو التفاوض، والإفادة من عدم التعاون لعدم خسارة تصنيف الغرب لعباس كشريك في عملية سلام، ولعلّ ربط النزاع مفيد لقوى المقاومة أيضاً لعدم منح البراءة لخط أوسلو الذي تسبّب بكلّ الأضرار والخسائر التي أصابت القضية الفلسطينية، وفي المقابل عدم القطيعة ليتحقق في الشارع تعاون أكبر بين المناضلين مما هو بين القيادات، فيكون توازن بين فائدة الانتفاضة والمقاومة وتجنّب الأضرار، بربط النزاع، وهو ما لا يتحقق بالتفاهم المستحيل ولا بالتصادم المؤذي.